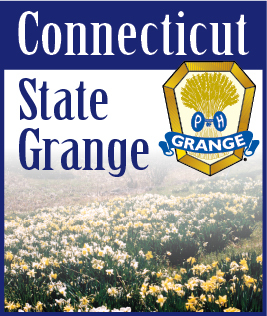 We have got to publicize the Grange in any way that we can. Please don’t just wear Grange jewelry, t-shirts, sweat shirts only to Grange functions. Wear them wherever you go. Maybe someone will have a question and there is your opening to speak about the Grange. Just remember to keep your explanation brief. People advertize sports teams such as the Red Sox and the Yankees all the time. Let’s get out there and show people who we are. Also,  please ask as many people as you can to join the Grange. The worst that can happen is that they say no. But, some will say yes. Those are the people we want. I have a friend who in his younger free bachelor days, would go about asking as many girls as he could for a date. His theory was, by asking many, the odds were in his favor to get a date. Let’s get those odds in OUR favor.